Includes Fruity French Toast Sandwiches, Sweet & Spicy Sesame Tofu Strips, Black Bean-Garbanzo Burgers, Vegan Stroganoff, Peach Tart and hundreds more! Maximize your energy and optimize your health! The clean-eating lifestyle focuses on fresh fruits and vegetables, whole grains, and a minimum of processed and packaged foods. 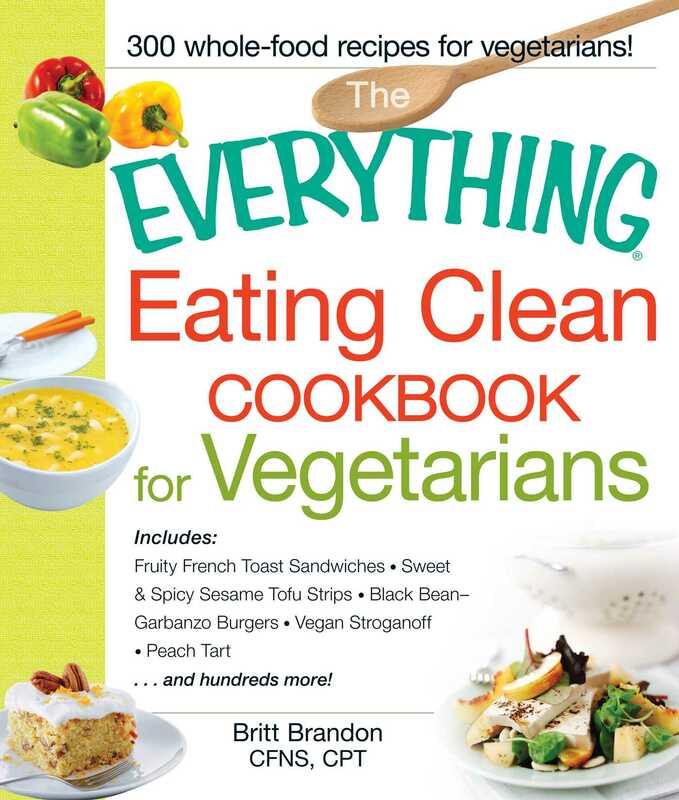 But while most clean-eating cookbooks advocate lean meats and seafood, The Everything Eating Clean Cookbook for Vegetarians is the only one that is 100 percent meat-free! Whether you're a seasoned chef or a kitchen newbie, this book helps you create meals that taste amazing, adhere to your vegetarian guidelines, and include clean ingredients that pack every bite with the right nutrition your body needs to thrive!